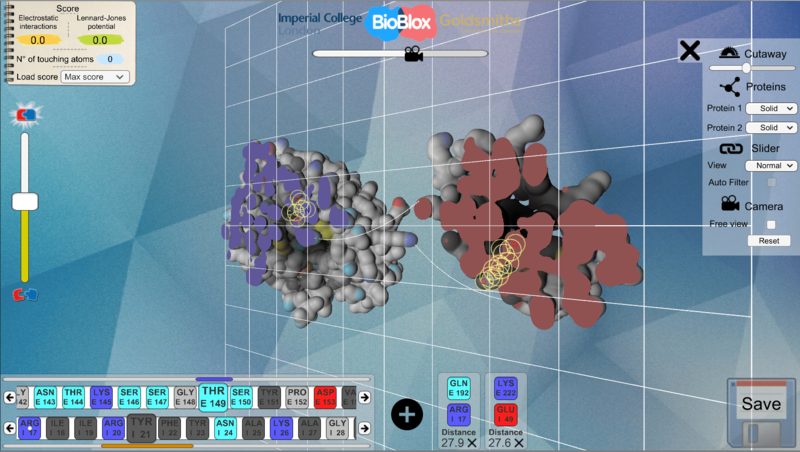 BioBlox (11/03/16): Step 0: Start – proteins loaded. 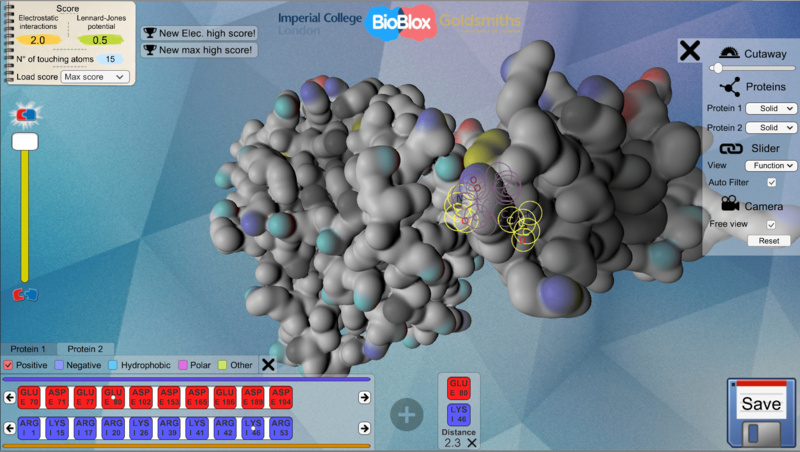 BioBlox (11/03/16): Step 1: Select amino acids to pair. 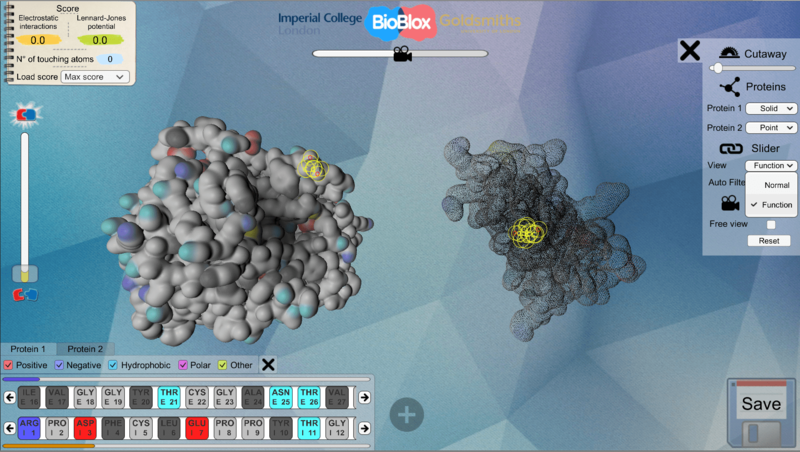 BioBlox (11/03/16): Step 2: select sites (up to 3) to match. 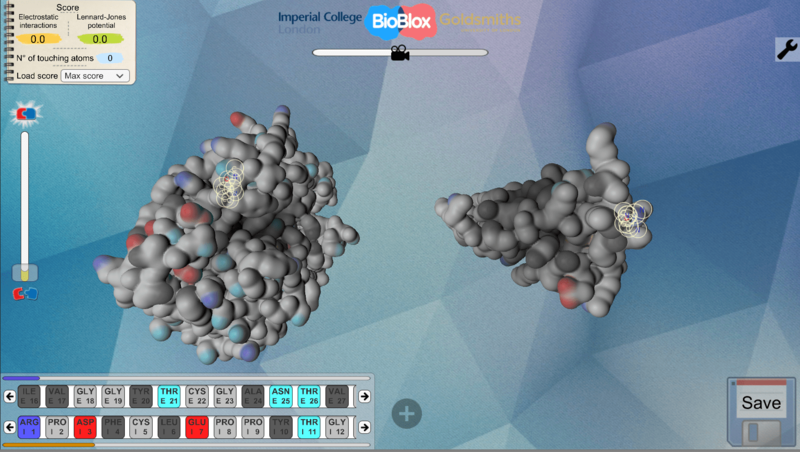 BioBlox (11/03/16): Step 3: Cutaway tool used to visualise interiors. 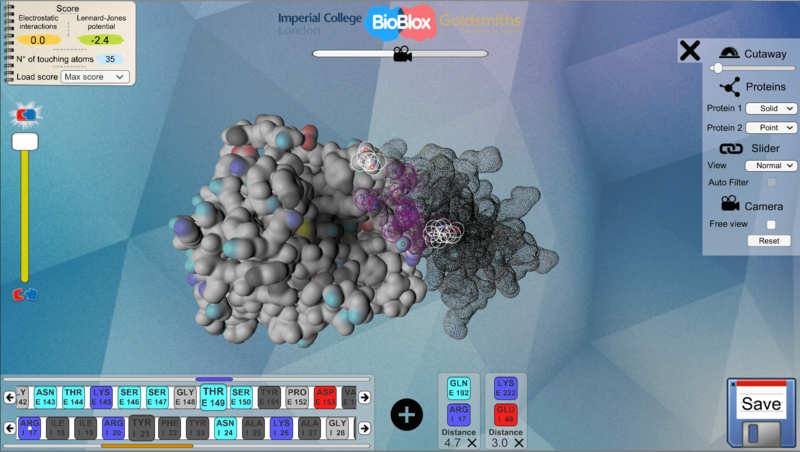 BioBlox (11/03/16): Step 5: Docking achieved with scoring. 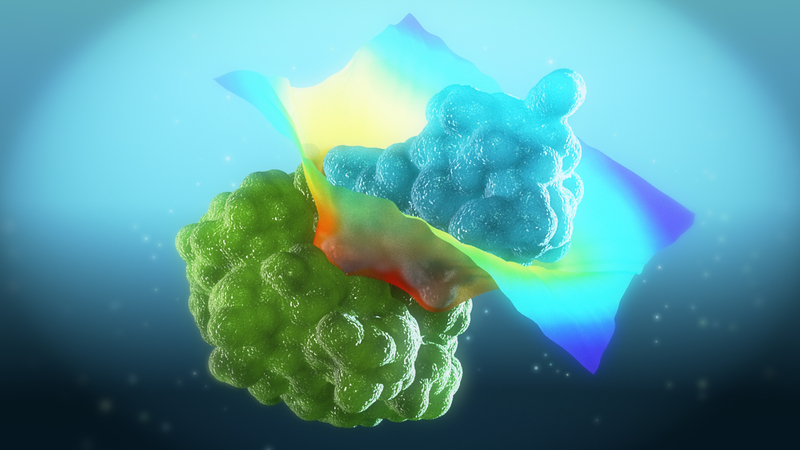 Art poster at VizBi 2016. 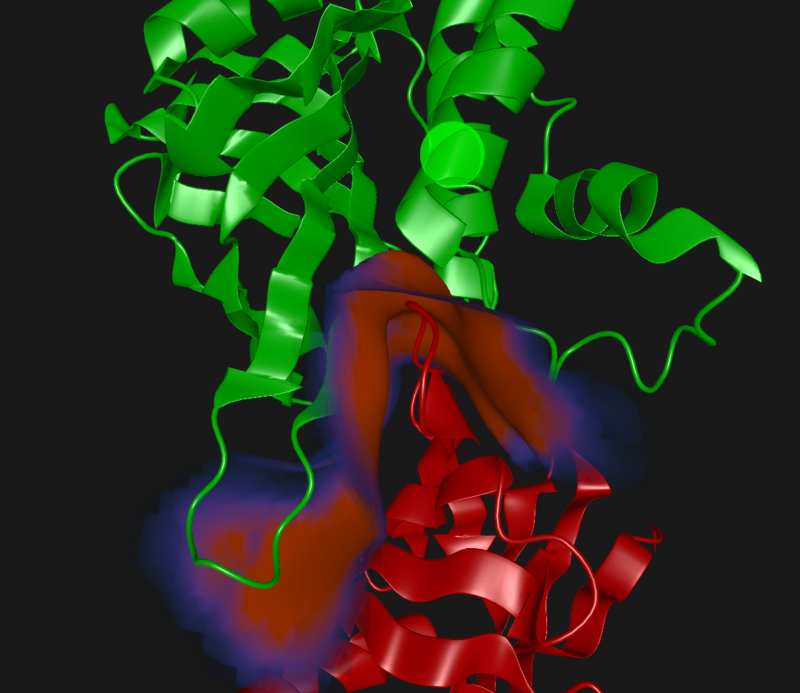 Illustration of protein docking. 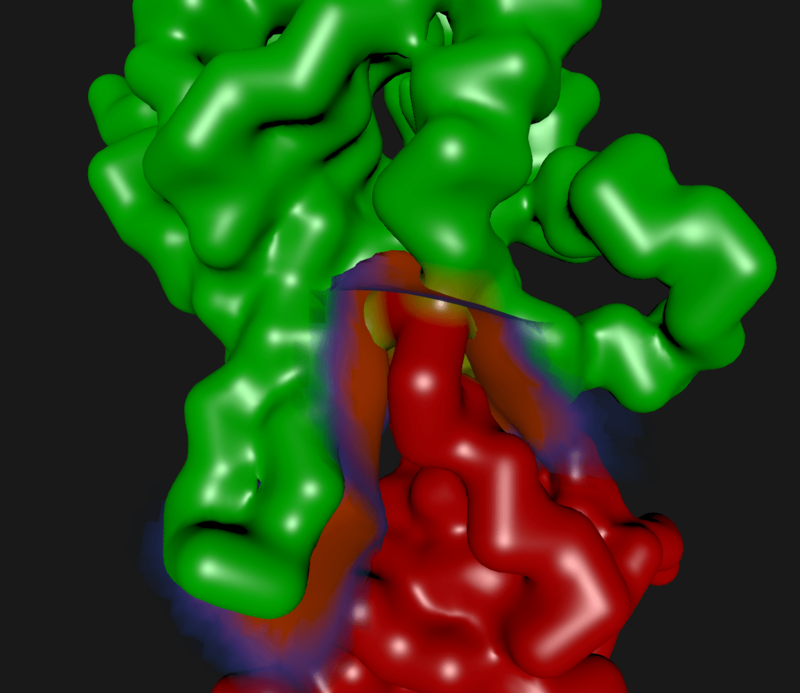 Protein docking in FoldSynth, with intermediary medial surface. Docking with medial surface (ribbons visualisation). 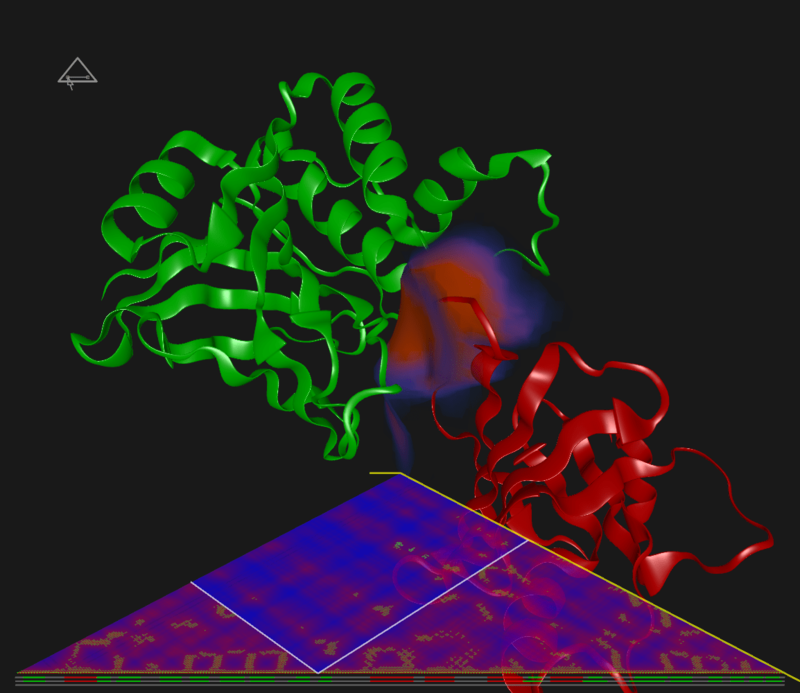 Docking of 2 proteins via FoldSynth UI (with combined contact maps shows at bottom).